Country Home for sale in the Langhe region of Piemonte Diano d Alba Near Alba, Langhe Hills (ref: 8110)- Restored country home in a panoramic position with commanding vineyard views.. Piedmont Properties in Piemonte. Property for sale Langhe and Piemonte. 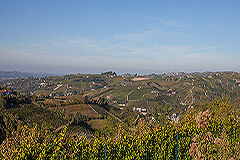 Map for Property ref: 8110, Country Home for sale in the Langhe region of Piemonte - Restored country home in a panoramic position with commanding vineyard views.